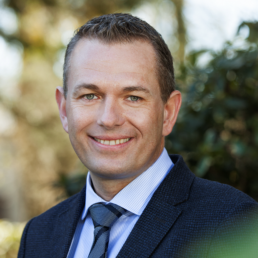 Director of Agriculture Investments – Jesper joined IWC in April 2017 and is responsible for the execution of IWC’s agriculture investment strategy. Jesper is a trained farmer with more than 25 years of experience in agriculture in countries such as Denmark, the United States, Romania, Latvia and Lithuania. Jesper has substantial experience with investment management, investment consulting, fundraising, asset management, farm management, farm supervision, trade with commodities, project planning, land acquisition, due diligence, project execution, budgeting, farm development, cost optimization, and financial management. In 2008, Jesper became CEO and co-founder of a large arable farm in Romania. During his tenure, Jesper developed the farm operation from scratch and in 2011 sold his shares in the company to an investor. Following the farm project in Romania, Jesper joined Aquila Capital as their Global Head of Cropping and Representative Eastern Europe. Aquila is a Germany-based investment firm managing funds in agriculture and renewable energy. After his time with Aquila Capital, Jesper joined Ingleby Farms as their Country Manager in Europe. Based in Denmark, Ingleby manages agriculture in 9 countries worldwide.